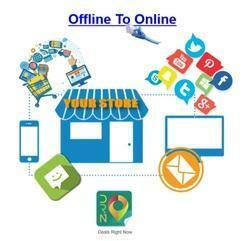 Provide comprehensive solutions for communication & marketing at/ in Retail environment. Profitable cash flow powers every successful business. Having the ability to adjust quickly to changing market requirements is what enables businesses to thrive, control costs and retain profit. Retail solutions demand innovation coupled with trends specific to the product. Continental group demonstrated its ability, to cater to the demands of a highly competitive domain, through execution of Wills Lifestyle and The Mobile Stores apart from numerous stand alone retail stores in various domains. The group strength lies in large roll out of retail solutions across the country. MELSS has excellent experience with solutions for retail industry. We work with retail giants such as Carrefour, to provide mission critical software solutions integrating their front end sales and backend systems.